How to control these tiny, swarming bugs indoors and out — without toxic chemical sprays! 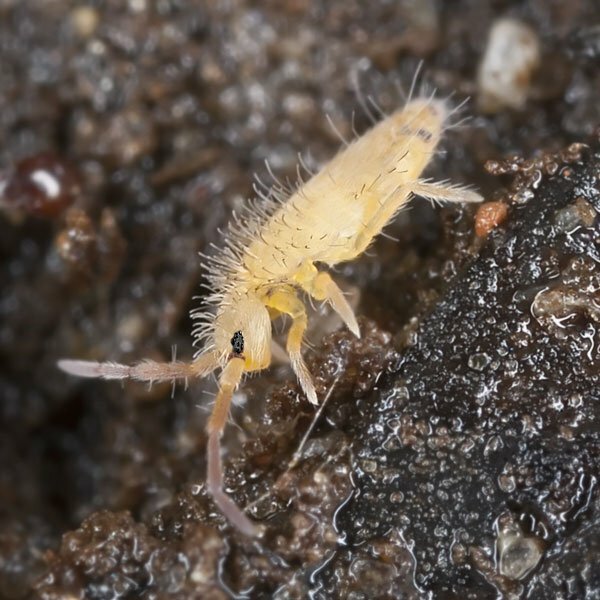 Springtails are tiny, wingless, moisture-loving creatures that seek dampness outdoors and in. They are frequently found clustered together in dense swarms. When disturbed, they spring into the air, as high as several inches, creating easily visible clouds. Outside, they’re found in wet soil, decaying straw, rotting leaves and other damp organic material. They feed on molds, fungi and algae. 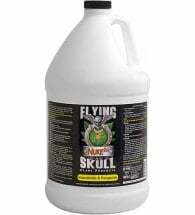 As soils dry, the insects search out more moist conditions, a move that often brings them inside homes where they gather in garages, basements and greenhouses as well in damp floorboards, carpets, under kitchen sinks and in the soil of potted houseplants. No longer considered true insects because of their internal chewing mechanism — insects have external chewing parts — springtails make up the order Collembola. They can be as much as 1/16 inch long but before reaching maturity are just a fraction this size. They come in all shades of brown and gray as well as black and white. Springtails become conspicuous as they gather in large clusters that resemble balls or swatches of fabric. Springing into the air, seemingly all at once, when exposed or disturbed, makes them even more conspicuous. This leaping is done by means of an external body part known as a furcula which is folded under its abdomen. When released, the furcula pops the tiny bug a few inches into the air. Springtails reproduce quickly, going from egg to adult stage in as little as four to six weeks. Mature males leave packets of sperm cells in the soil where they live. These are picked up by females as they lay their eggs, either in packets or singly. Depending on temperature conditions, the eggs hatch within five to ten days. Nymphs resemble the adults. During the five or six weeks they spend as nymphs, they go through several stages before becoming adults, molting and becoming larger in each. Outdoors, springtails can survive through an entire season, reproducing a number of times. Indoors, they can live as long as a year. Springtails are mostly a nuisance pest, doing little damage to plants. They will chew roots in the soil where they’re located, and can inhibit plant hardiness. But they seldom do major damage. These nearly invisible bugs do not bite or sting and are generally harmless to humans. But they are an unpleasant house guest and finding a swarm of them under a carpet or around a basement drain requires cleanup to prevent ongoing populations or masses of dead insects that are less than sanitary. The presence of springtails in your bedroom, bathroom or carpets is an indication of dampness that provides clues to possible larger problems such as leaky pipes or roofs, poorly sealed tubs and sinks and porous basement walls. Treating pest infestations often requires house repairs and other fixes. Springtails will cluster inside the walls of newly built homes that were exposed to rain or high humidity during framing and not allowed to completely dry. The pests presence inside walls can be an indication that mold and fungus might be present. Springtails can be a major nuisance around outdoor swimming pools where they will often cover the water’s surface as they die off. Though they hold no danger to humans, this bug scum makes for a poor pool experiences. The creature’s tiny size and great numbers can make them difficult to skim. Because of their moisture levels, indoor growing spaces are particularly susceptible to springtail infestations. In hydroponic growing systems, the pests will cluster at the edge of grow-tank and in exposed root crowns of plants. Careful periodic inspections and removal can help keep populations down. While it’s often claimed that springtails do little noticeable damage, they will feed on roots and moist plant matter, causing “leaf stipling” (yellowing) and cause other harm to growth and vigor. Still, many growers choose to tolerate them rather than treat them. If you choose to co-exist with them, make sure you’ve positively identified them and aren’t mistaking them for some pest like spider mites that can cause extensive damage. 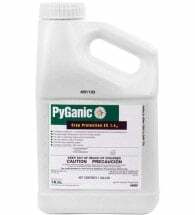 Wipe up pest colonies around the rims of trays, near drains and other damp places in your grow space. Large colonies on floors or on stands can be vacuumed with a shop-vac. 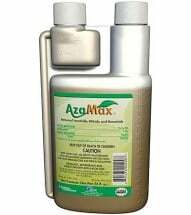 If springtails have become such a nuisance they must be sprayed, use an OMRI listed for organic production compound such as azadirachtin, an antifeedant and insect growth regulator (IGR) that controls pests through starvation and growth disruption. Springtails enter homes through window screens, open doors and windows, vent pipes or in potted plants. They are attracted to indoor moisture, especially as the outdoors dries. They may be attracted to light, entering through windows, under doors or through cracks in the foundation. Keep springtails away from your home by keeping leaves, grass and other organic matter away from the foundation. Fill every crack the foundation may have, even beneath the soil line as possible. Make sure seals around windows and doors are tight. 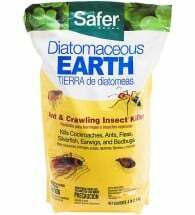 Use crawling insect killers with diatomaceous earth to repel the pests around places where they might enter. Springtails frequently occur in the soil of potted plants. Inspect the potting mixture of every plant you intend to bring home by testing it with your thumbs and watching for springing. Lichen or other soil covers that are organic food sources for the pests should be examined carefully. Be especially cautious if plants show signs of excess moisture. If you suspect insect activity, quarantine house plants, preferably outside, to allow the soil to completely dry before bringing them in. Letting soil dry completely as possible is the best way to deal with infested pots already in the home. 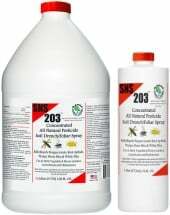 Sprinkle Safer Brand diatomaceous earth on potted soils to help them dry and to repel springtails. After a hot day, they may congregate on the side of a building in tremendous numbers, increasing the chance of indoor infestation. If you spot an infestation inside or out, use a wet -dry shop-vac with a small amount of soapy water in its collection tank to vacuum them up. Use fans to thoroughly dry any area of the house, including inside walls (as possible) where springtails have been found. Repair roof leaks, cracks in siding and any other places where moisture might enter the house. House plant soil, especially those with lichen or moss, can be a hotbed of springtail reproduction. Inspect any potted houseplants you buy for signs of infestation before bringing them inside. Once inside the house, don’t over water. Allowing soil to dry completely between watering discourages them from staying around. Because they only infrequently damage plants, there’s little reason to control springtails outdoors unless their numbers become a nuisance. The comprehensive Integrated Pest Management website at the University of California says outdoor use of pesticides aren’t effective against this pest and won’t provide long-term control by themselves. 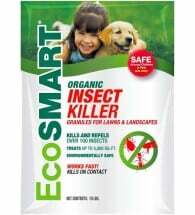 To discourage the bugs in gardens and landscapes, remove their favored habitat, namely damp, organic matter. Compacted mulch protects colonies that thrive beneath it. Refrain from adding compost and other organic material to the soil until the pests have disappeared. Allowing soils to dry completely before watering prevents them from getting established, sending them away in search of wetter territory. 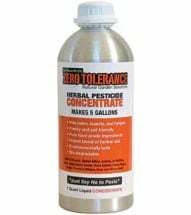 Reduce watering in vegetable or ornamental gardens that host springtails and allow soils to dry completely before watering. Don’t expect to eliminate them entirely where moist conditions naturally persist. Frequent turning of straw mulches and compost heaps, disturbs eggs and exposes nymphs to drier surface conditions helping to keep their numbers down. But because of their size, many will escape. Protects your crops without harming your DNA! Very concentrated. Made from pure food grade ingredients that smell great (no chemical odors). 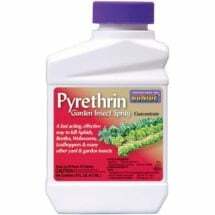 Contains 1.4% pyrethrum (made from chrysanthemums) to produce rapid results. 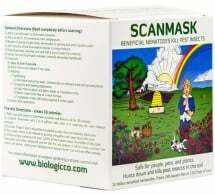 A powerful, fast-acting formula made to provide broad spectrum relief.